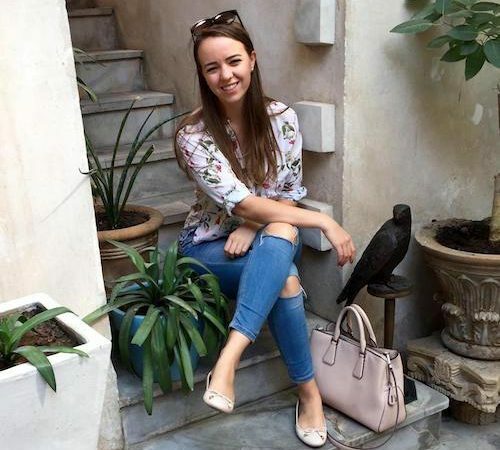 London, Kuala Lumpur, Dubai – this month’s destinations! 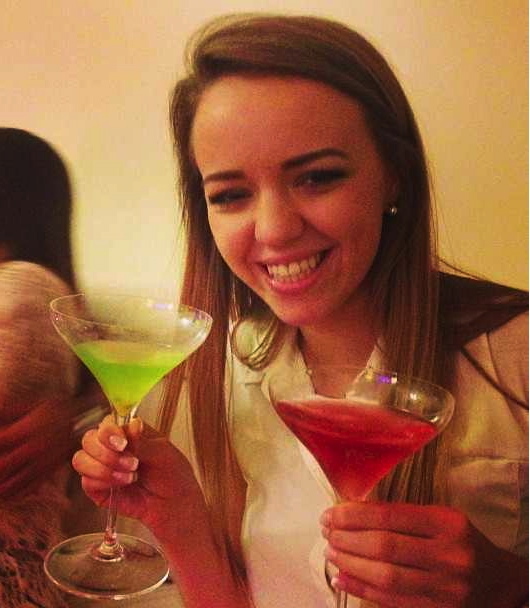 The last time I posted (was that really 10 days ago already?!) my friends had just left Dubai and I had a flight to London. That was pretty uneventful; it’s an easy night flight and the hotel beds are to die for! I made the obligatory trip to Primark and stocked up on a few maxi skirts and dresses (essential in Dubai!) and of course, plenty of work tights. 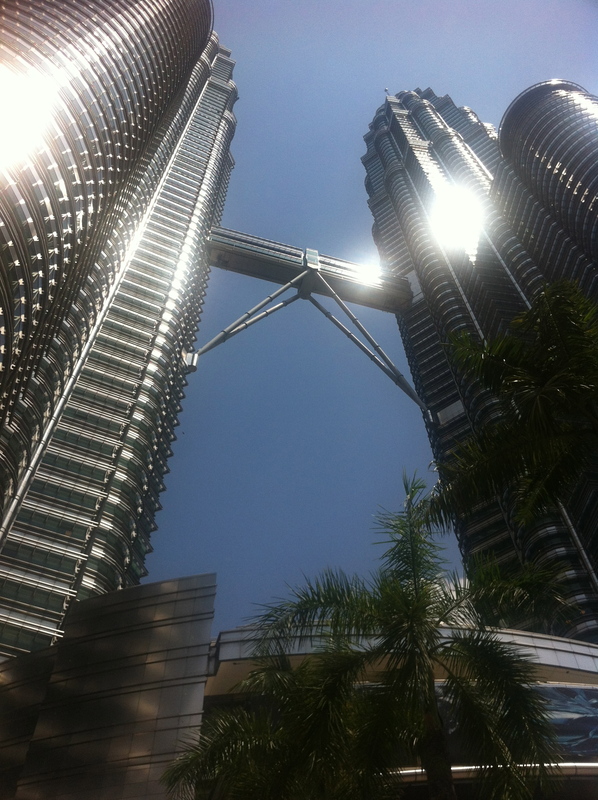 After that I was back to Kuala Lumpur for the second time this month. We arrive at the hotel just in time for the start of happy hour, so of course a few of us made out way down to the pool and tried a couple of the buy one get free cocktails in the sun before dinner. 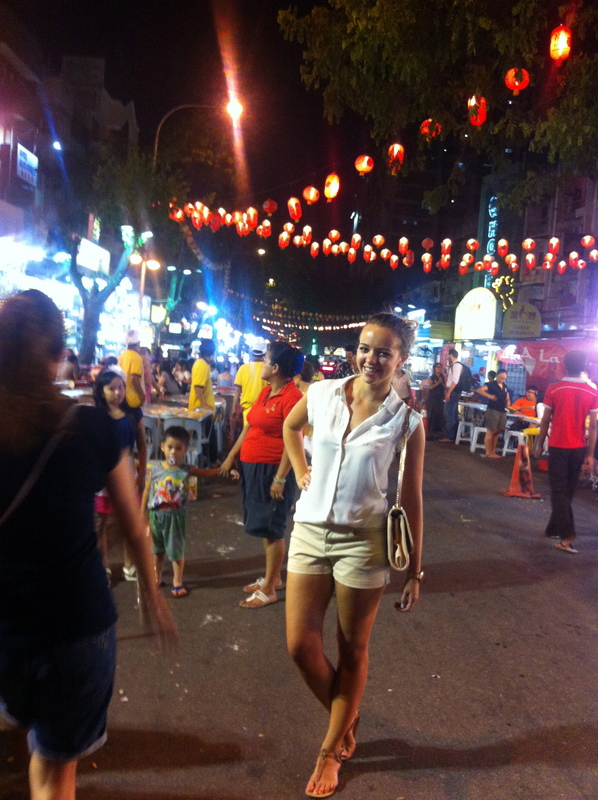 A group of us took the metro two stops to the street restaurant area and all shared lots of delicious food! After dinner a couple of us stopped off at the market area and I got a new watch for work. The next morning a few of the girls were going to the caves and I had originally planned to go with them but I ended up sleeping in and then going to gym. Before the wake up call in the afternoon I decided to go to the Petronas Towers and have a browse around in the shopping mall inside. 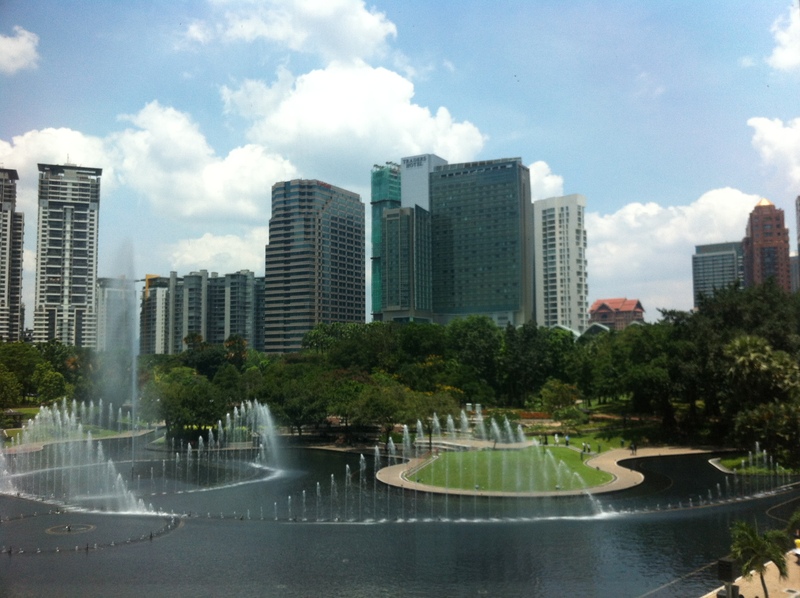 I also got some chicken satay for lunch overlooking some lovely fountains! 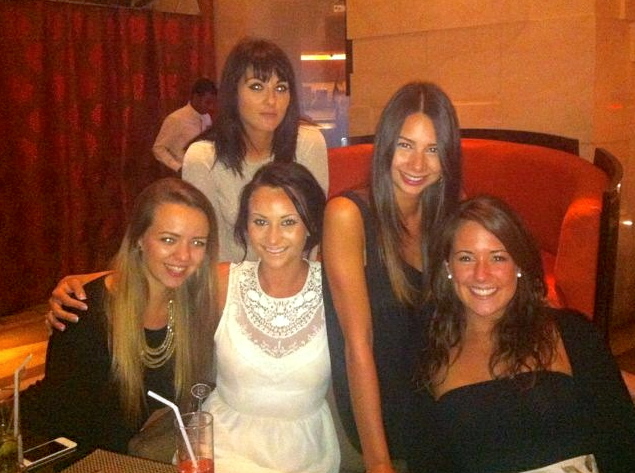 Once I arrived back in Dubai in the evening I got the bus home, showered and got ready as quick as I could and headed straight out to the Shangri La to meet all of the girls! I think this was the first time since training college that all of us were together! We had a really great evening and it was so lovely catching up with everyone together! On Sunday my friend Bruno invited me and a couple of his friends round for dinner – roast pork! It was so delicious and definitely just what I needed, washed down with a few glasses of wine and some cocktails! 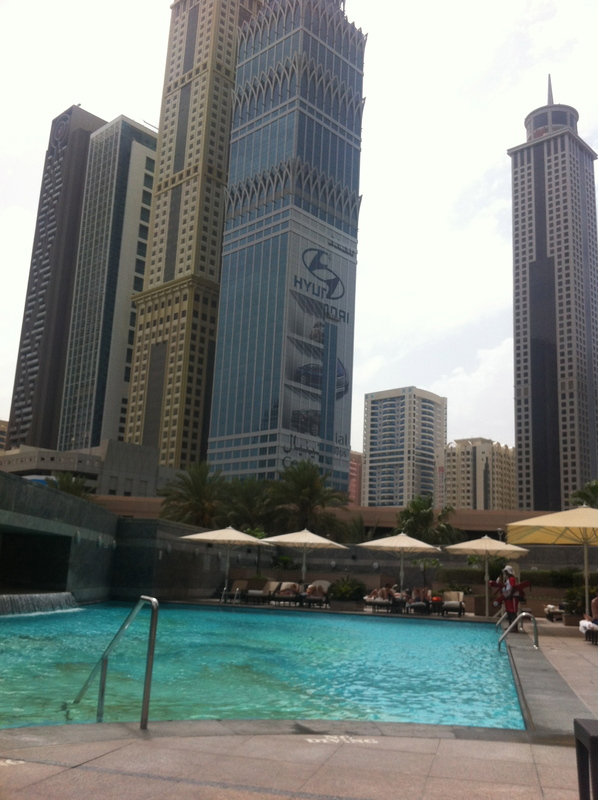 Yesterday Sally and I spent the day relaxing at Emirates Towers pool (free entrance for FACE card users, yes!) and getting a bit of sun. Even though it wasn’t the hottest day ever in Dubai, it was a refreshing change to have a bit of a breeze and some clouds! I still managed to top up my tan slightly! Previous Post Time for an update! Next Post The Great Wall…been there, done that! love your blog 😀 Keep writing! Really you spend a great time and very nice plans, enjoy your time when you can, thanks for sharing.